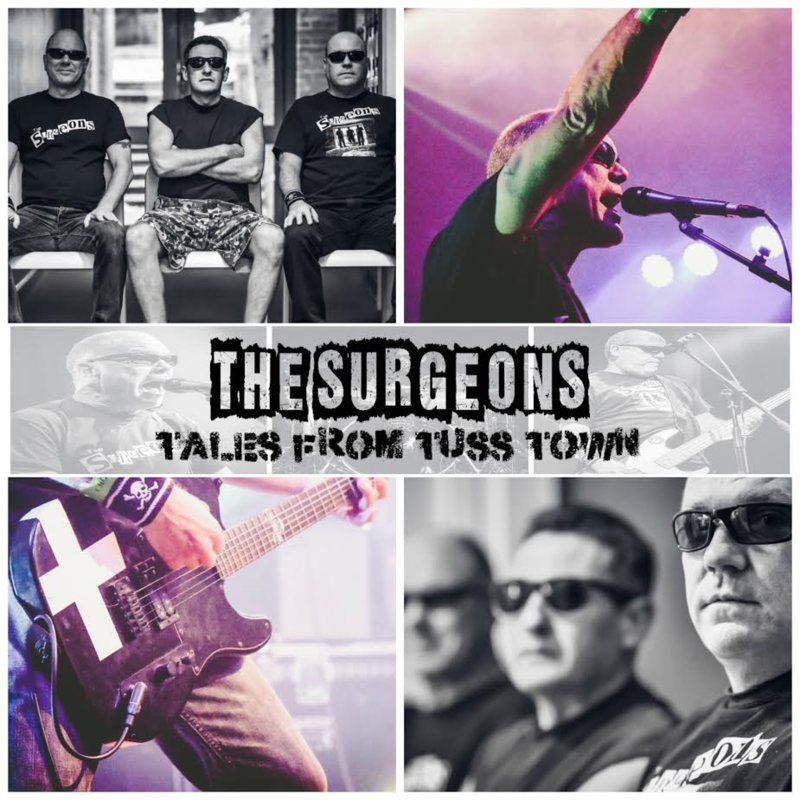 Latest Gigs- The complete Surgeons gig list for 2012- 2019. 1st October 2016- Penzance Punx Picnic. Saturday 30th March 2013- Studio Bar Pz. Saturday 6th April 2013- Falmouth Rugby Club with The Sub Humans & Bus Station Loonies. Thursday 16th May Studio Bar Penzance - Nice N Sleazy warm up gig featuring Trevor on Bass..
Thursday 8th August- Rebellion Festival Blackpool. Sunday 18th August - Praa Sands Raft Race. Sunday 25th Aug 2013 3 Chords Festival Penzance. Tuesday 01st April 2014- Live in Tokyo- Coach available details to be announced. Friday 24th October 2014 Studio Bar Penzance. Saturday 20th December 2014- Studio Bar Penzance. The complete Surgeons gig list for 2012. 4th April: Punk Poetry At The Farmers Arms Penzance. 3rd June: Nice N Sleazy Punk Festival Morecambe. Sunday 12th August Praa Sands Raft Race. Live On The Beach.